Speakeasy Travel Supply Blog – Page 2 – Speakeasy Travel Supply Co.
We love spring break travel. Often the shoulder season, the weather is generally pleasant in spring, the crowds lighter and prices cheaper. We traveled through Italy in April a few years back with friends and family and really enjoyed experiencing the country in bloom. 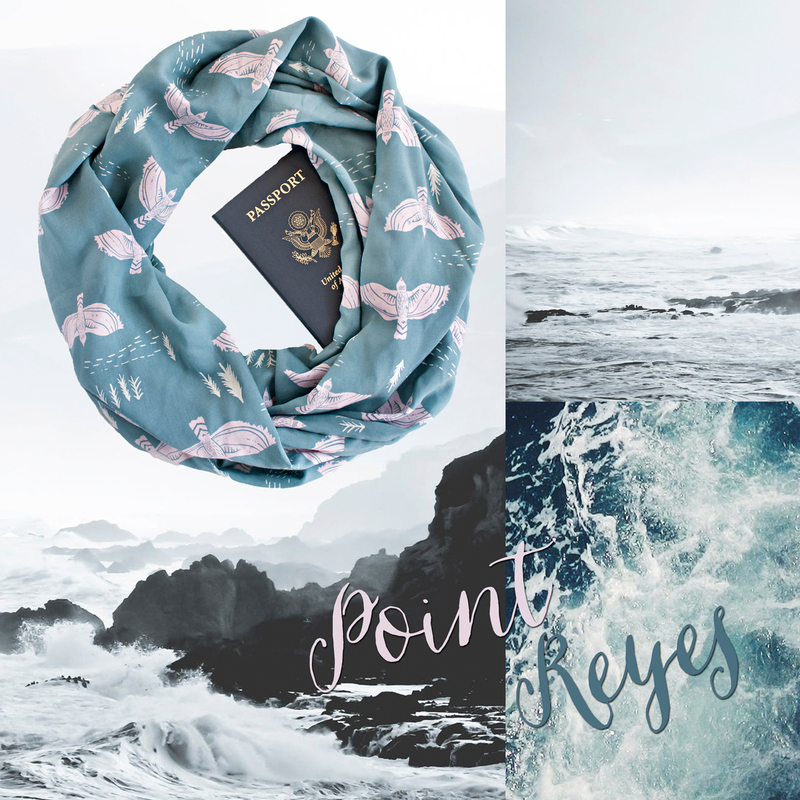 Our newest collection of secret pocket scarves is inspired by our past spring travels. 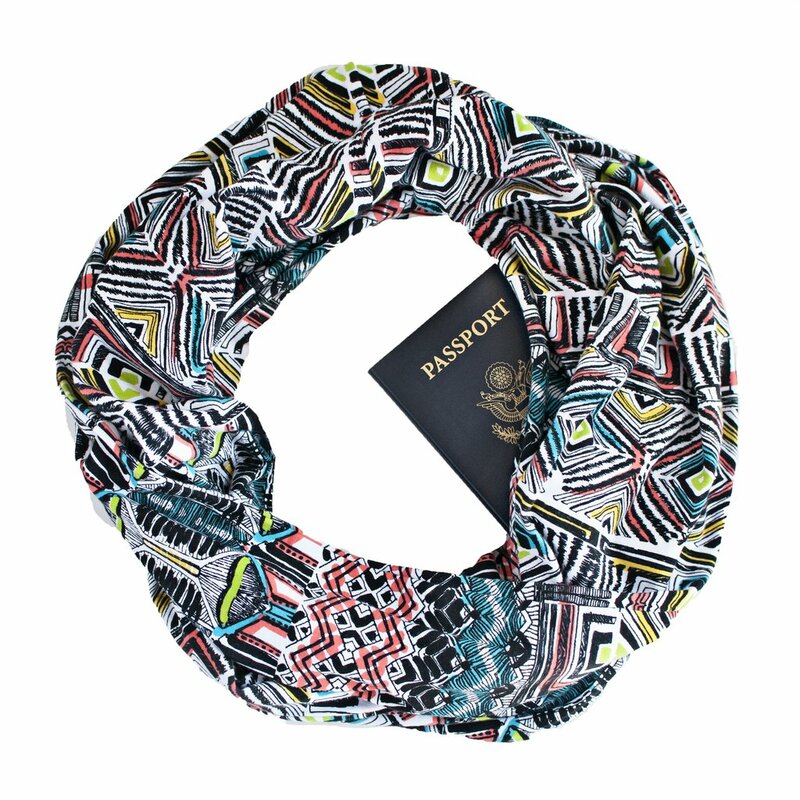 In it, you'll find something for every travel style and destination. *Spring Break Sale valid for a limited time and only at speakeasytravelsupply.com. Use the code "SPRINGBREAK" at checkout and receive a 15% off your order. Offer valid until 11:59 PM EST 3/04/18. Offer cannot be redeemed for cash. Speakeasy Travel Supply reserves the right to limit quantities. Prices and specifications are subject to change without notice. Speakeasy Travel Supply is not responsible for typographical or photographic errors. Applicable sales taxes apply. Offer cannot be combined with other offers. No rain checks. Offers good while supplies last. Thank you! We had an amazing 2017 and that had everything to do with you and your continued support at our Pop-Up events around Boston. Whether it’s travel or a new business venture, we’ve found a little adversity makes the journey all the sweeter. 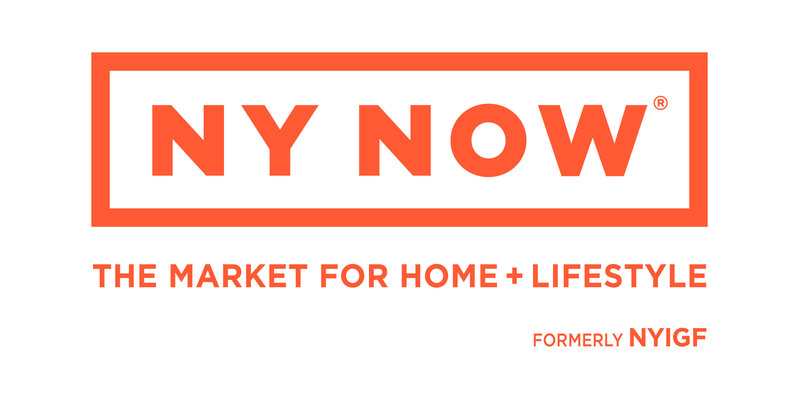 Beth and I faced some big challenges last year but overcame each, leading us to kick-start 2018 with an NYC adventure at NY Now, which is the premier marketplace for artisan gifts. People message us from all over the world asking if our Speakeasy scarves are available in a shop near them, and exhibiting at NY Now moves us closer to making that happen. NY Now runs from Feb. 3 to Feb. 7. If you're attending the market, we'll be at booth 8632, Ramona Enterprises in personal accessories. Stop by and say hi, we'd love to chat with you. We had some downtime after Christmas and I got to thinking about this wonderfully strange life we’ve carved out for ourselves. I’ve got to say I absolutely love making travel gear that helps others move a little more freely (and stylishly) from place to place. It’s your photos and travel tales that gets us through these pesky grey winter days. We dig them so much that we're giving away a $20 Speakeasy Travel Supply gift card to one lucky reader. It's easy to enter and there are two ways to do it. Email us your photos at speakeasytravelsupply@gmail.com. We'll pick a winner at random on March 1, 2018. So please keep your awesome photos coming! Here are a few of our recent favorites. 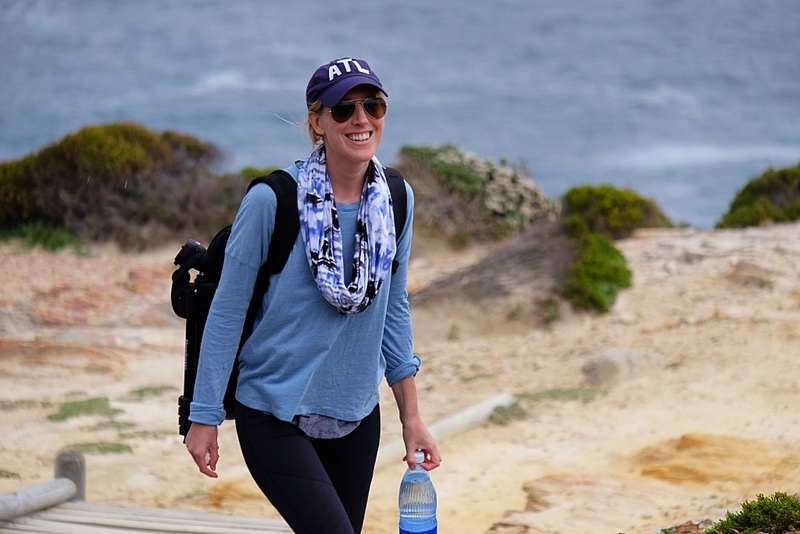 Amanda S. wearing her Adventurous Kate Melbourne travel scarf while hiking between Cape Point and the Cape of Good Hope in South Africa! Inside her secure zippered pocket, she had an EpiPen, cellphone, and chapstick. Rachel E. enjoying the sights of Vienna with her Soda Springs Cobalt travel scarf. She said "My sister-in-law got it for me for Christmas and I’m obsessed. 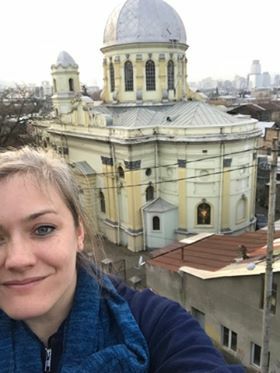 It’s been to Nice (France), Vienna (Austria) and now Tbilisi (Georgia). LOVE IT. " 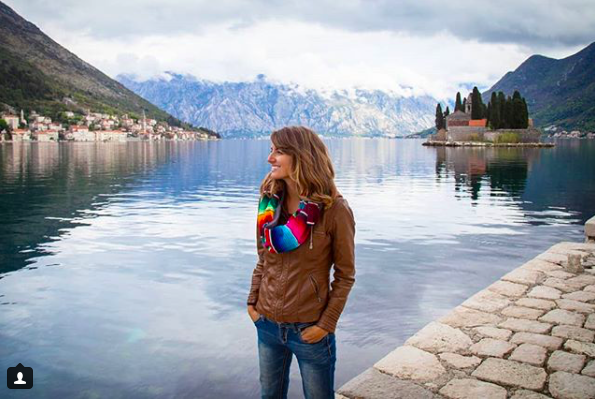 Photographer Heather M. exploring Kotor, Montenegro with her colorful San Felipe travel scarf. You can follow her journey on Instagram here. For the next five weeks we'll be at our new holiday home - Boston Winter! Boston Winter is a five week long holiday market in city hall plaza in Boston. Open every day until 9pm so come on down and enjoy the skating rink, entertainment, wine and food festivities and get your holiday shopping done at the same time! Here's some photos of our chalet - we are right next to the stage and food chalets - very easy to find. See you there and don't forget to say hi to Santa! The mornings are crisp, so much so, that our dogs--normally early risers--now sleep late, buried underneath their blankets and sleeping bag. Outside our bedroom window, the trees are flying yellow, red and orange leaves. And just down the street, misfit pumpkins dot the green rolling fields. It can all only mean one thing: Fall is here once again! And, this autumn, we've got a hidden zipper pocket scarf for every journey. 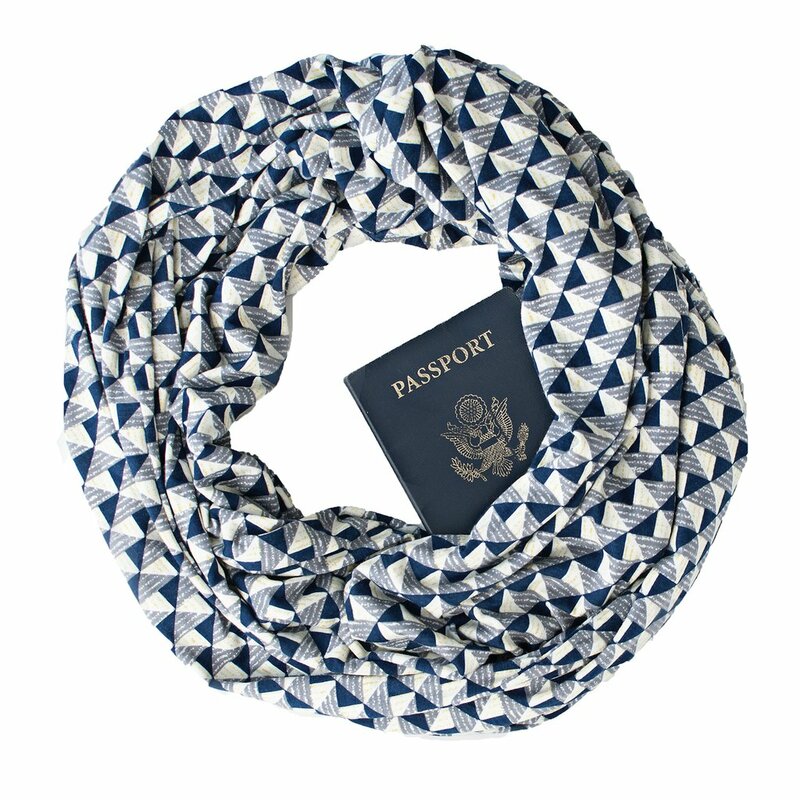 Whether you are cafe hopping in St. Petersburg, Russia, or picking apples in a New England orchard, we've got a fall travel scarf for you. 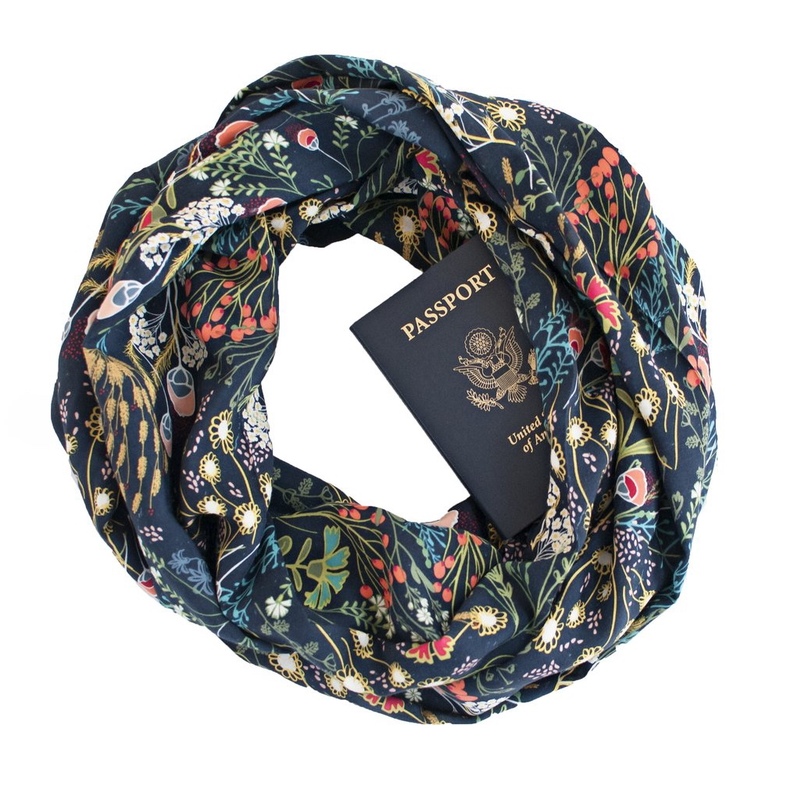 With a travel scarf for everywhere, the only question now is where will you go this fall? Kate McCulley is an OG. She's been helping women travel better since 2010, when she started a blog, quit her job, and set off for the world. Since then, Kate's traveled to 70 countries and her blog, Adventurous Kate.com, has become one of the world's top websites specializing in solo and independent female travel. And in June, she was named one of the world's 10 most influential travelers by Forbes. We love Kate's blog and follow along daily on her adventures at home in New York City and on the road via her Instagram at @adventurouskate. This isn't our first adventure with Kate. We've actually had a few, including a lively night of wine tasting at an Italian agriturismo. 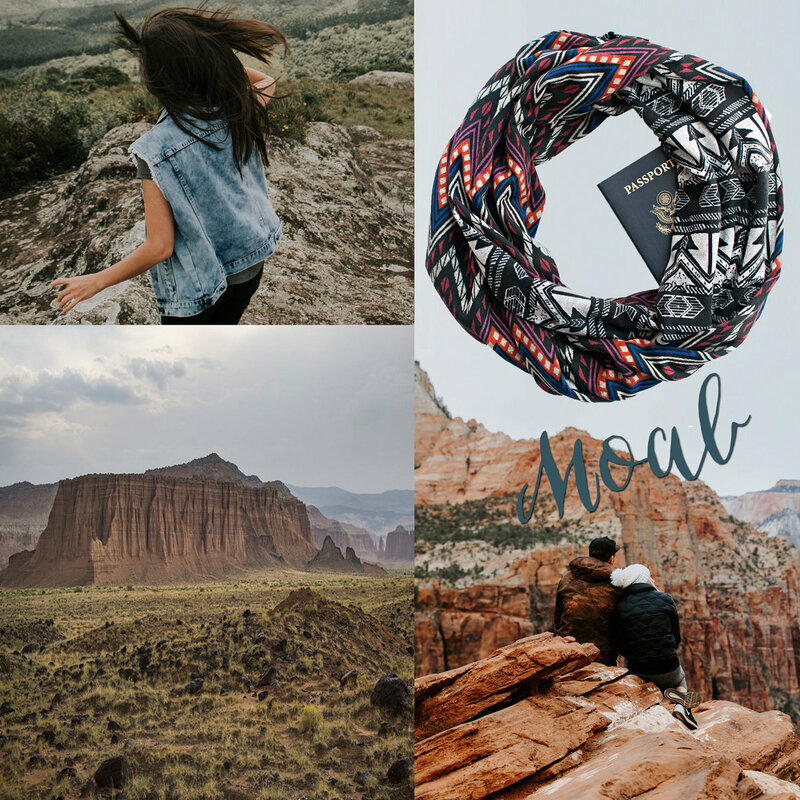 But launching our first signature travel scarf collection with her is our coolest so far. Beth and I are so excited about these scarves--they are not only beautiful and functional but Kate personally hand picked the fabrics herself! 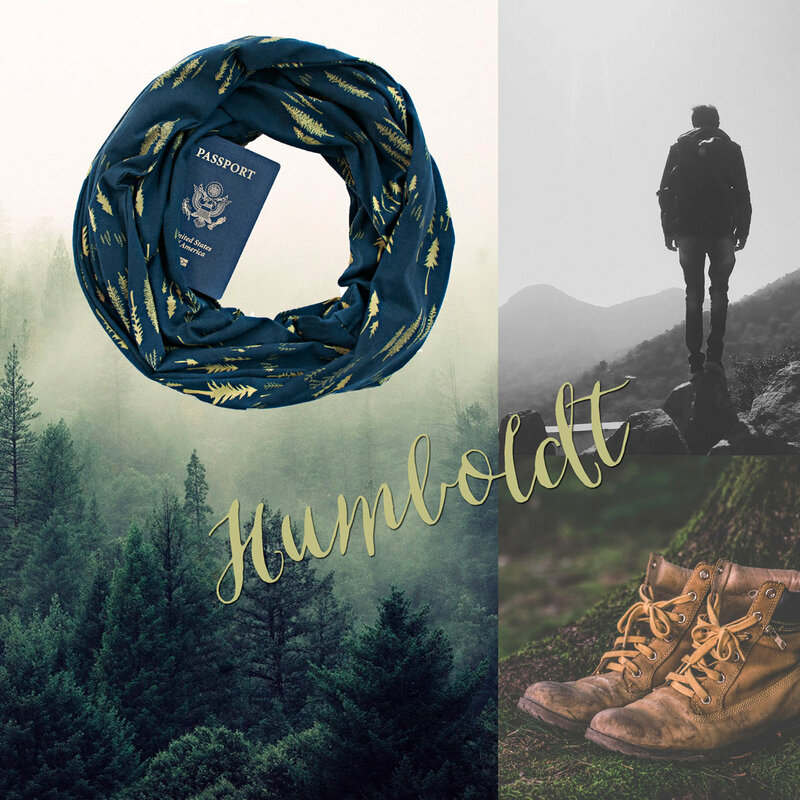 The Adventurous Kate Melbourne Scarf is a perfect everyday scarf - soft, cool to the touch and the gorgeous color scheme literally goes with EVERYTHING. For the launch, Kate and photographer Dani Heinrich of Globetrotter Girls took to the streets of Williamsburg, Brooklyn with the first run of the Adventurous Kate Collection. We love how the photos came out. They captured the essence of the scarves perfectly. Kate's a remarkable woman. Be sure to visit her website AdventurousKate.com to learn more about her and get some excellent tips for traveling the world. This girl is a legit globetrotter!